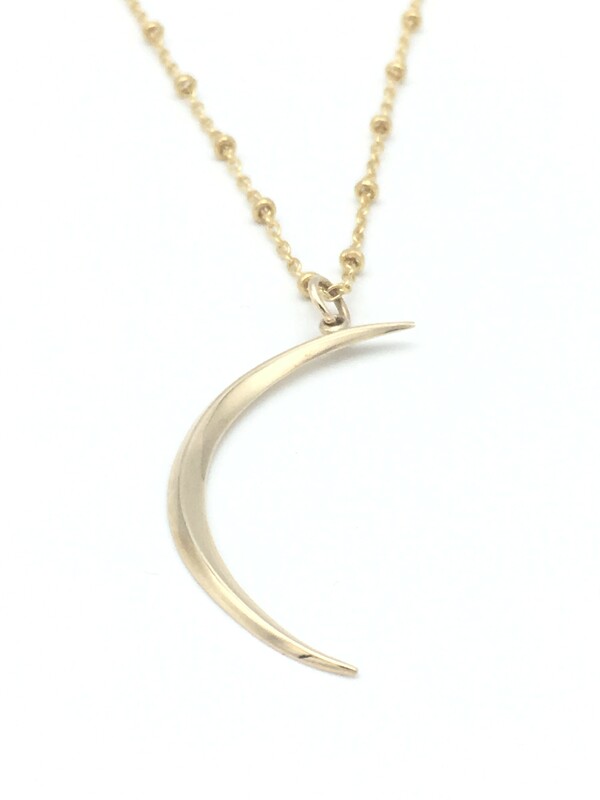 Crescent Moon Necklace, featuring 14Kgf detailed chain and finely shaped Bronze Crescent Moon pendant. Bronze is a beautiful metal that has been around for thousands of years. Many people may be familiar with bronze in the form of large three dimensional sculptures, such as Rodin’s “The Thinker”. 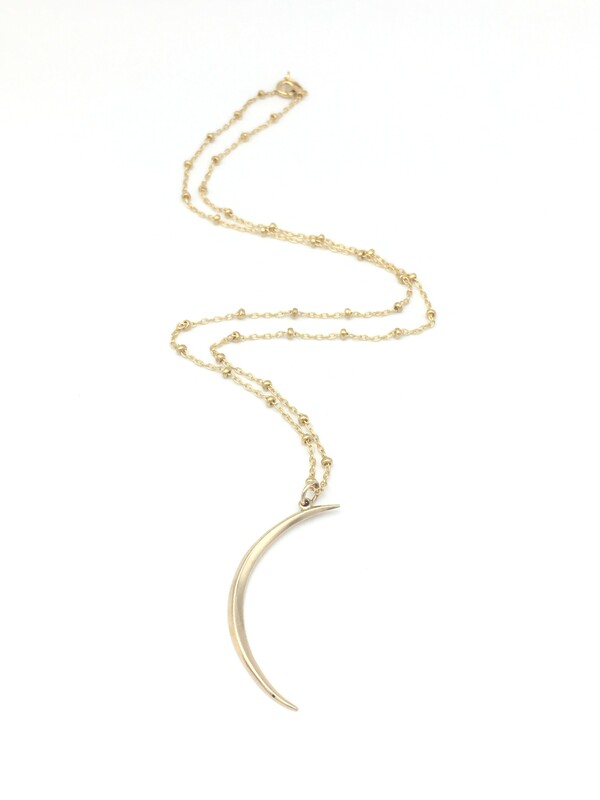 For jewellery, bronze is an affordable metal with a warm, rich color. Bronze is an alloy that consists of a mixture of copper and tin, approximately 90% copper and 10% tin. Producing bronze is a less toxic process than producing brass. Brass is a combination of copper and zinc, and the manufacturing process often produces zinc oxide which is toxic. Our natural bronze products are made of solid bronze. 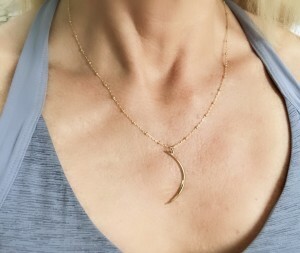 14K gold fill items are 5% gold by weight. 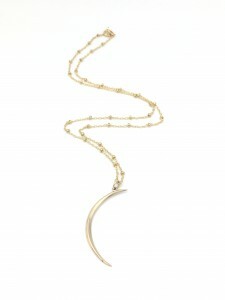 The gold is permanently bonded over a core of brass, using heat and pressure. The result is a very sturdy and affordable product. 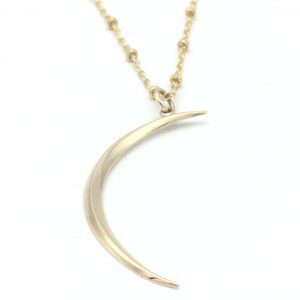 Be the first to review “Crescent Moon Necklace” Click here to cancel reply.